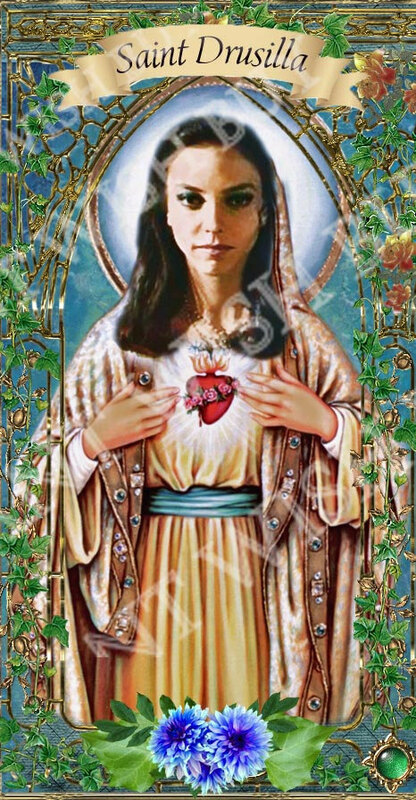 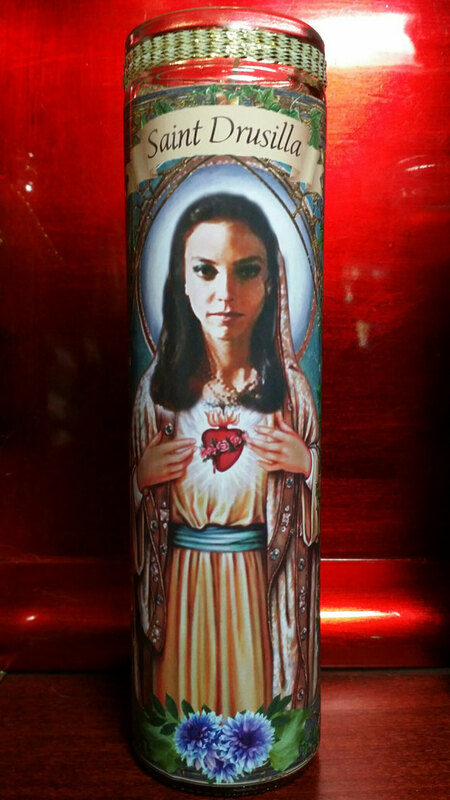 Drusilla - Juliet Landau from Buffy the Vampire Slayer - 8" Celebrity Prayer Saint Candles. 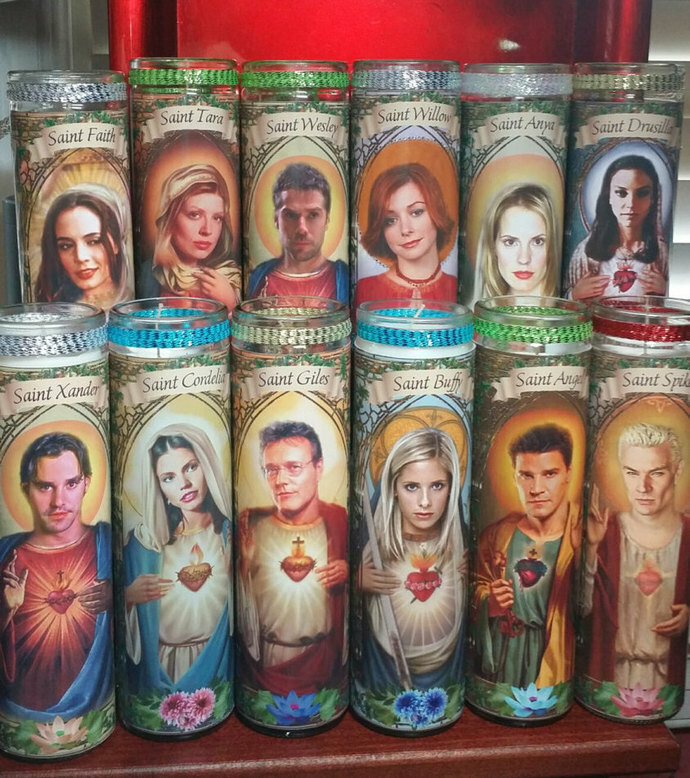 Also have Saint Angel, Saint Willow, Saint Giles, SaintSpike, Saint Buffy, Saint Tara, Saint Faith, Saint Cordelia, Saint Anya, Saint Wesley and Saint Xander in other listings as well as Set of all 4 Celebrity Saint Candles - pictured for convenience (with discounted shipping) and the entire set of 12 discounted with discounted shipping in another listing on site. 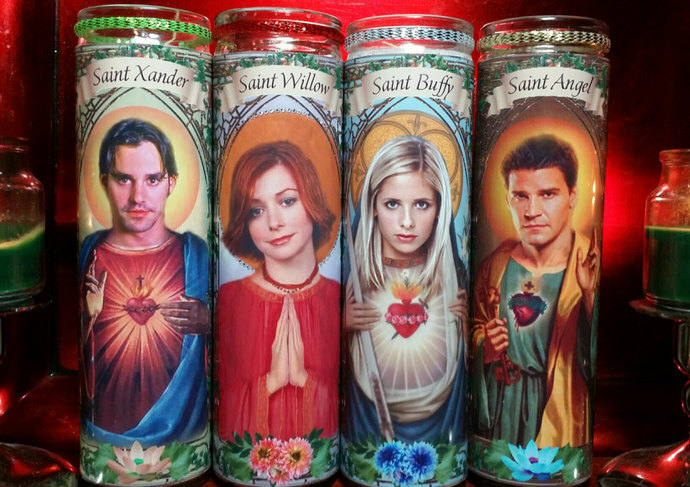 White (most available), blue, red or green (depending on whats available), unscented wax.